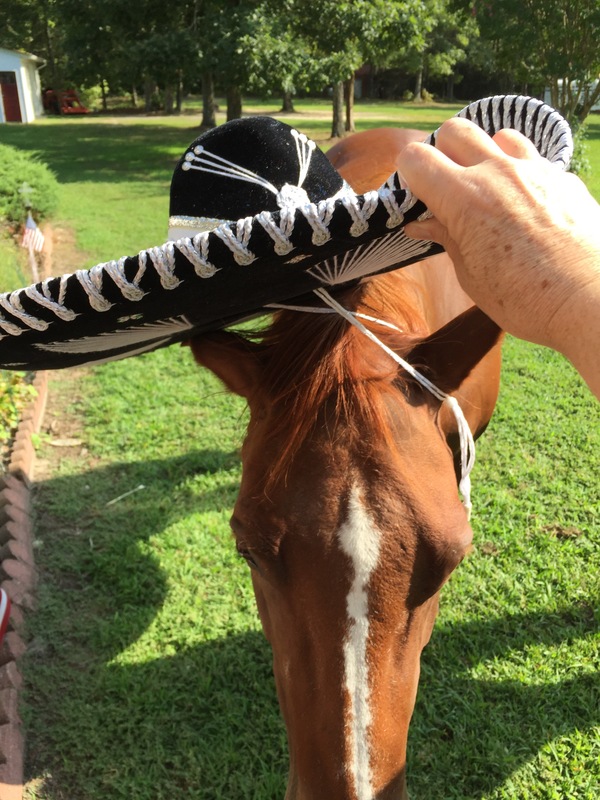 In an effort to escape my dark, dark mood – I decided to work on acclimating my horses to their upcoming halloween costumes. 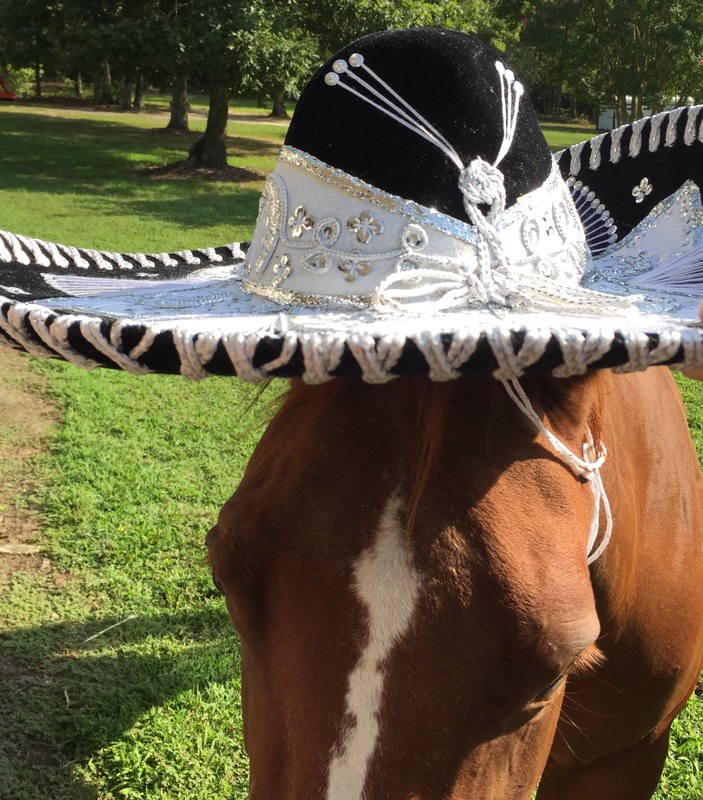 OK, you may be able to guess the theme, but as you can see, Wildfire was not at all afraid of the sombrero. Horses and dogs and cat and goose, all make great therapist. The journey is still very hard, but they lift me up. We used to go to the Halloween horse shows. Mine were usually unicorns. Once my son was the Lone Ranger. When god created horses he did make them special. They are the worlds greatest listeners.